So, in honor of the movie The Great Gatsby, I've put together a few items that are reminiscent of the movie's style. You can use any of these pieces to incorporate a little bit of 1920's effortless glamour into your modern day wardrobe. Click on any of the images below for more information. My memory of this movie is watching it in a high school lit class. Have you seen this movie? What are your thoughts on 1920's fashion? hysterical! I decided I wanted to re-read the book bc it was my favorite back in HS (of all the books we had to read).... I just finished it last night :) what an appropriate post, I'm looking forward to the remake. amazing! 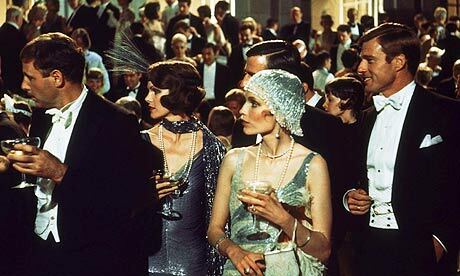 I want to have a great gatsby bday party this year! I'm actually sad they're making another movie, because from what I've read, they're going to destroy it. I love your Gatsby looks though - so fun J! 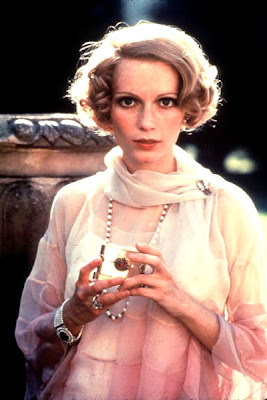 My dog is named Daisy Buchanan! Love neutral and flowy.